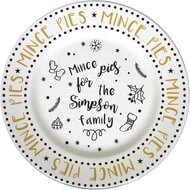 Personalise this fine bone china 10 " plate with any message of up to 25 characters below the fixed quote 'Mince pies for'. 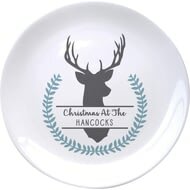 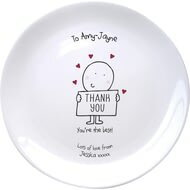 Whether it’s for serving your starters or cheese and crackers, this personalised plate would make the perfect accessory to any table. 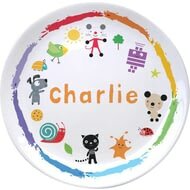 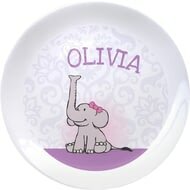 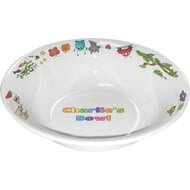 Perfectly sized for a little one learning to use crockery, this china plate has a colourful design and includes the little one's name. 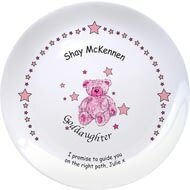 This round keepsake is a unique way for guests to give a special little one something to cherish when they're all grown up. 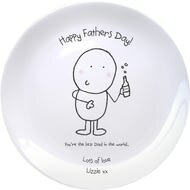 Because you think he's worth it, award him this 'Best Dad Ever' plate. 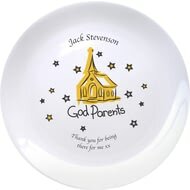 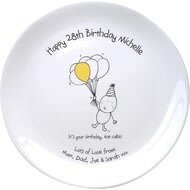 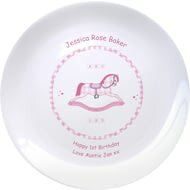 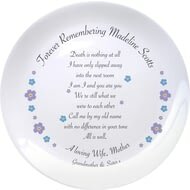 This funky bone china plate is the perfect keepsake to remember that special birthday. 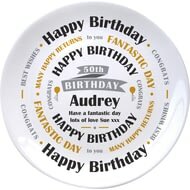 Simply add a name up to 15 characters and their age. 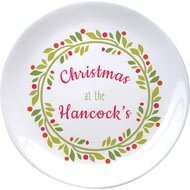 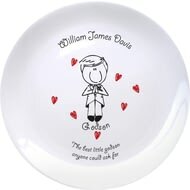 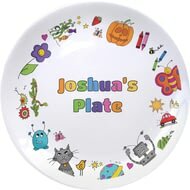 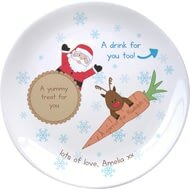 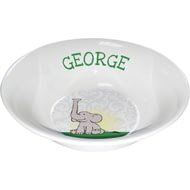 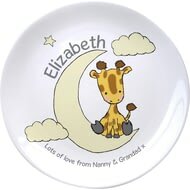 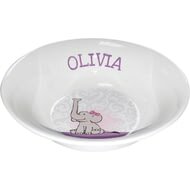 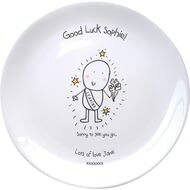 Personalise this cute 8” bone china coupe plate with a name of up to 15 characters.. 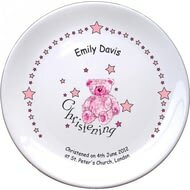 It would make a fabulous gift for a little ones christening or 1st birthday. 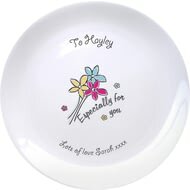 Personalise this cute 8” bone china coupe plate with a name of up to 15 characters. 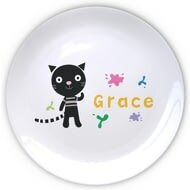 Add a special messgae underneath the design of up to 40 characters including spaces. 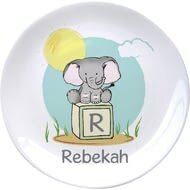 Personalise this cute 8” bone china coupe plate with a name of up to 15 characters and their initial. It would make a fabulous gift for a little ones christening or 1st birthday. 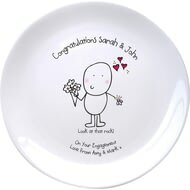 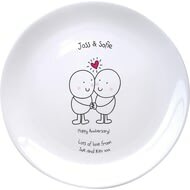 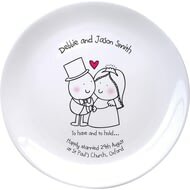 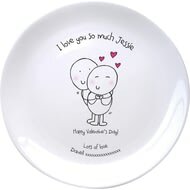 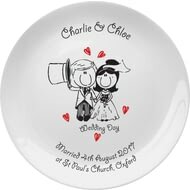 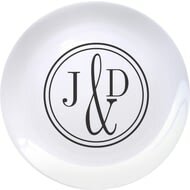 This unique gift features adorable bride and groom characters on the bone china plate. 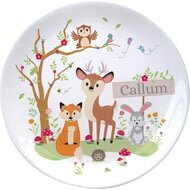 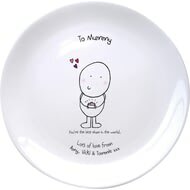 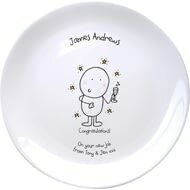 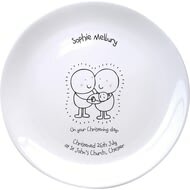 A cute Chilli and Bubbles family adorns this 8" bone china plate, perfect for the birth of a precious little one.